A Kochi-bound Air India flight with 102 passengers on board veered off the taxiway in the wee hours of Tuesday at the Kochi airport. 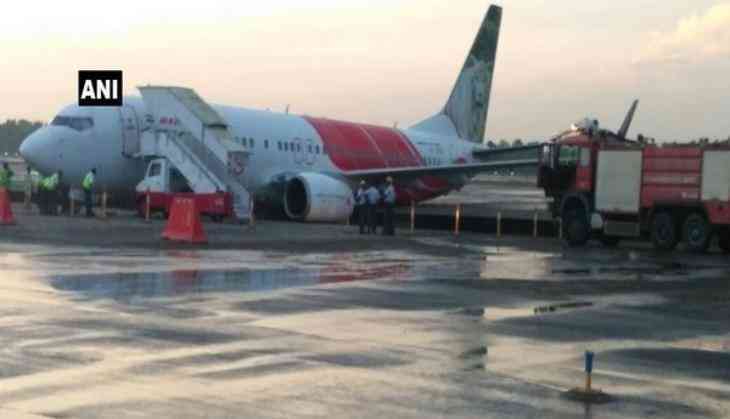 The incident took place at around 2:40 a.m. when the Air India Express IX452, the Abu Dhabi to Kochi flight, was approaching to the parking bay. All the passengers are reportedly safe and have been evacuated.